THE LOST HISTORY OF DREAMS by Kris Waldherr will be published in April 2019 by Touchstone Books. Robert Highstead was a historian and writer before his wife tragically passed away on their wedding night. Giving up his budding career as a writer, Robert becomes a post-mortem photographer in an attempted to stay connected with the ghost of his dead wife. Robert is going about his miserable, depressing life when he given the task to transport his deceased cousin – the famous poet Hugh de Bonne remains to a special, glass chapel on the moors near Shropshire so that he can be interred next to his dead wife, Ada. Ada’s niece, Isabelle, resides near the chapel, and she refuses to allow Hugh to be interred in the chapel until after Robert has recorded Ada’s story of her short marriage to Hugh. As Isabelle tells her story, Robert begins to realize that she might not be who she claims. 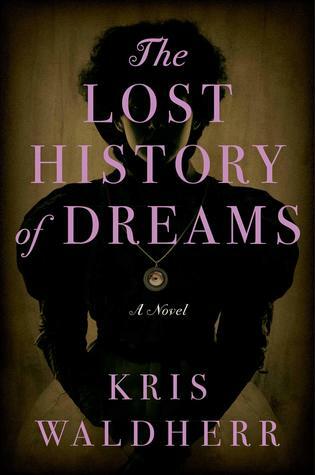 THE LOST HISTORY OF DREAMS is a compelling, gothic novel. I was compelled to read the novel as soon as I saw that the main character was a post-mortem photographer. Yes, I am one of those morbid people who is fascinated by the Victorian Era tradition of photographing the dead. While I wish there had been some more information about the post-mortem photography, I was swept up in the Robert’s and Isabelle’s stories. The novel is beautifully written, the characters are compelling, and there are multiple mysteries about the characters’ past that will keep the reader enthralled. Also, Kris Waldherr recreates the Victorian Era through descriptions of the places, traditions, and beliefs. Thanks to NetGalley and the publisher for the ARC.